Whale sharks are the biggest fish on Earth. But their numbers are plummeting. 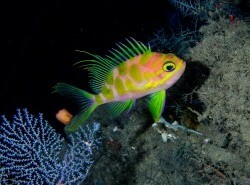 Check out what WWF is doing to conserve them. The whale shark (Rhincodon typus), the world’s biggest fish, is an important marine attraction in the Philippines and Indonesia, two of the countries in the globally important ecoregion known as the Coral Triangle. The iconic creature could use some help, however; the latest Red List assessments of the International Union for the Conservation of Nature (IUCN), which were also disseminated at the IUCN World Conservation Congress held September 1-10 in Hawaii, revealed that the whale shark had slipped one step closer to extinction, and had been declared Endangered. 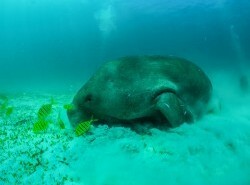 The population of these magnificent animals, which can grow to 20 metres in length while still feeding mainly off microscopic plankton, has been reduced by some 50 per cent over the last 75 years, killed by ship propellers or, more alarmingly, fished by large-scale shark fin operations in China and Oman, IUCN revealed. “While international whale shark trade is regulated through the species’ listing on the Convention on International Trade in Endangered Species (CITES), more needs to be done domestically to protect whale sharks at a national level,” says Dr. Simon Pierce, lead Red List assessor, member of the IUCN Species Survival Commission (SSC) Shark Specialist Group, and co-founder of the Marine Megafauna Foundation, as quoted by IUCN. 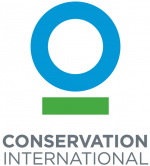 The IUCN Red List, founded in 1964, is the most comprehensive and recognised listing of the status of species in the world. Red List categories range from Least Concern (LC) — the species remains widespread and abundant — to Extinct (E), with no known individuals still existing, either in the wild or in captivity. 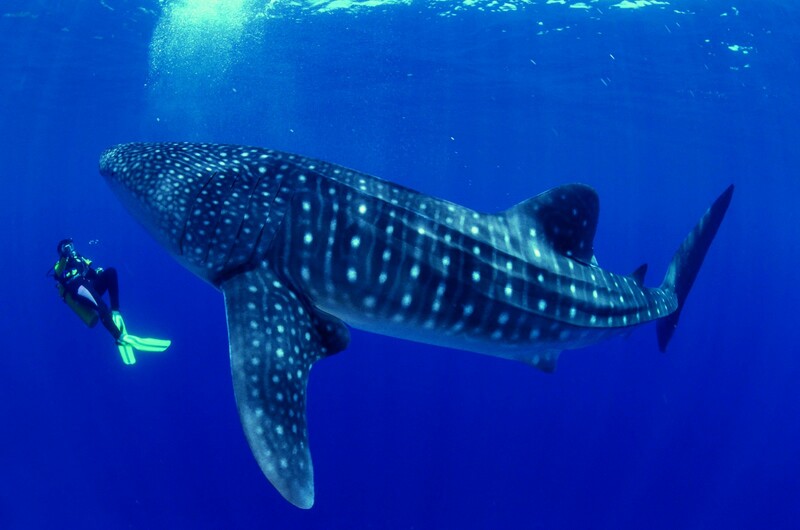 The whale shark was previously classified as Vulnerable (VU), at high risk of danger in the wild. As an Endangered (EN) species, whale sharks are just two classifications — Critically Endangered (CR) and Extinct in the Wild (EW) — away from Extinction. In the Philippines and Indonesia, where whale shark tourism thrives, a threat to the animal means putting livelihoods as well as biodiversity at risk. Donsol, once a sleepy little town in the Philippine province of Sorsogon, rose from a fifth-class to a first-class community in terms of income and infrastructure because of a vigorous whale shark ecotourism programme, notes WWF-Philippines Communications and Media Manager Gregg Yan. Whale shark tourism has been a lucrative business in the country, albeit with the accompanying management problems. 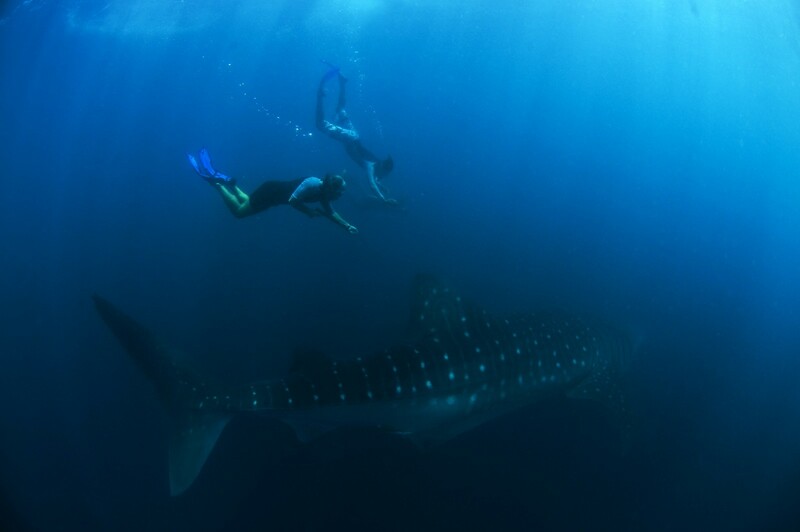 “There are areas in Indonesia where tourists can swim with whale sharks, like Teluk Cenderawasih National Park (TCNP)-Papua, Talisayan-East Borneo, Probolinggo-East Java, and Botubarani-Gorontalo,” says Tania. “Tourism has increased the income of local communities, but in some cases, the code of conduct for interacting with whale sharks is not respected, and could endanger the animal. ”This was painfully illustrated in Botubarani-Gorontalo, where the appearance of whale sharks in April 2016 drew 30,000 tourists in three months — after which the animals promptly disappeared. 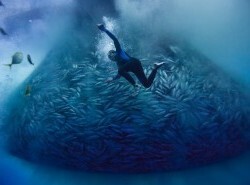 “The lack of food in the water and the mass tourism are believed to have been the main reasons why they left,” notes Tania. WWF-Indonesia began its whale shark programme in TCNP in 2011, in collaboration with park authorities, the local governments of Nabire and Teluk Wondama Districts, the State University of Papua, Bogor Agricultural University, Conservation International (CI), and the Hubbs SeaWorld Research Institute. “We studied the whale shark population by recording their numbers, lengths, sizes, and sexes; building a photo ID database; tracking their movement by deploying satellite tags; and determining their connectivity through genetic analysis,” says Tania. WWF-Indonesia and Bogor Agricultural University also formed Whale Shark Indonesia in 2015 to monitor and better understand populations. “The study sites have been broadened to include Talisayan-East Borneo, Probolinggo-East Java, and Botubarani-Gorontalo,” says Tania. “The collected data will be used to help develop a national plan of action for whale shark conservation management in Indonesia. 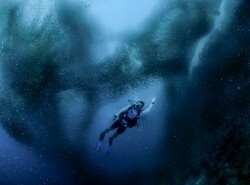 ”WWF-Philippines, meanwhile, has been a global leader in whale shark conservation and ecotourism development since 1998. That was when Republic Act 8550 FAO 193 was passed, banning the killing of whale sharks, after Donsol was identified as hosting one of the largest aggregations of whale sharks on Earth. Through continued partnership with the Donsol local government and key tourism stakeholders, WWF-Philippines has been implementing a community-based whale shark ecotourism programme to sustainably manage interactions,” says Yan. More concrete measures are needed to address poaching in both countries, however. 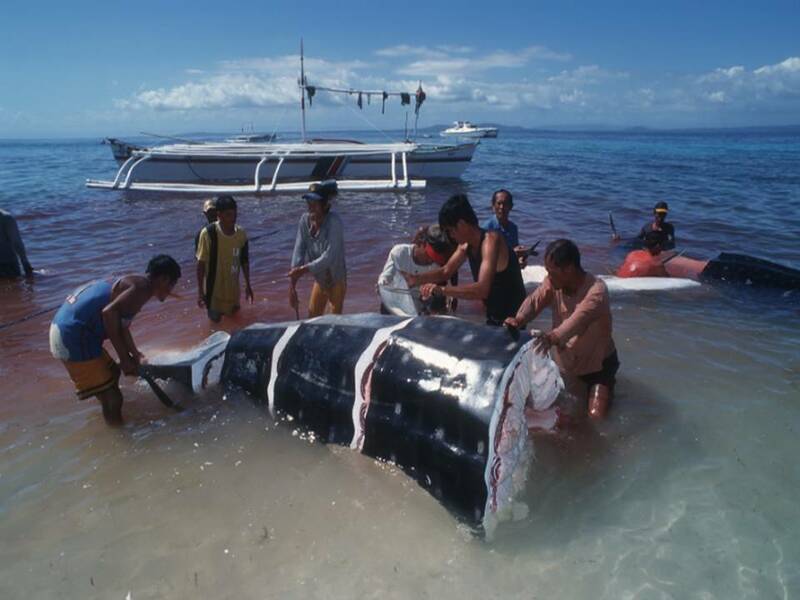 In the Philippines, Republic Act 8550 has been updated as Republic Act 10654, which still prohibits the killing, sale, and trade in whale sharks, Yan reports. Provisions are being laid down to prevent feeding as well, as is being practiced in the town of Oslob in Cebu Province to draw tourists. WWF-Indonesia works with the government and other partners to promote research, responsible tourism, whale shark stranding handling, and bycatch mitigation, says Tania. “There was also the #SOShark Campaign which targeted not only whale sharks, but also all other sharks,” Tania says. 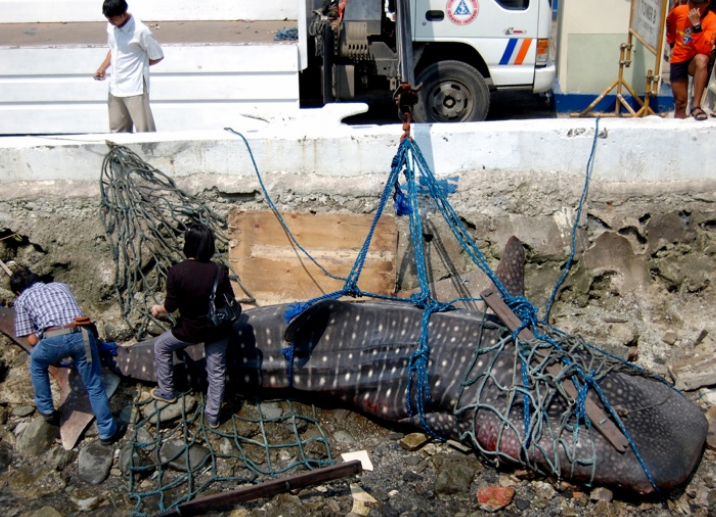 “No direct action is taken against poaching, although in May 2016, the smuggling of two juvenile whale sharks was foiled by the Ministry of Marine Affairs and Fisheries and the Wildlife Conservation Society (WCS)-Indonesia Programme. From the investigation, it was revealed that the whale sharks were to be exported live to China.”Both Tania and Yan acknowledge the critical role of these creatures in the bigger scheme of things. “The whale sharks provide an alternative livelihood to communities, if managed responsibly,” says Tania. “But they are also an important part of the ecosystem — a sign that the ocean is still rich in nutrients and in good condition.”“If whale sharks are lost, ecotourism-driven coastal communities could lose their chief sources of income, and eventually return to fishing,” concludes Yan.